This phrase is becoming increasingly common in a world where consumers dig deep into brands before they commit to buying anything. First impressions count, especially when you're fighting against a sea of competitors all struggling for air in the same metaphorical room. So how can you make sure that all-important first impression is a good one? Every day, more than two billion posts are shared on social media. That's an insane amount of content to wade through, but it also gives consumers a considerable amount of choice when it comes to what they do and don't listen to. 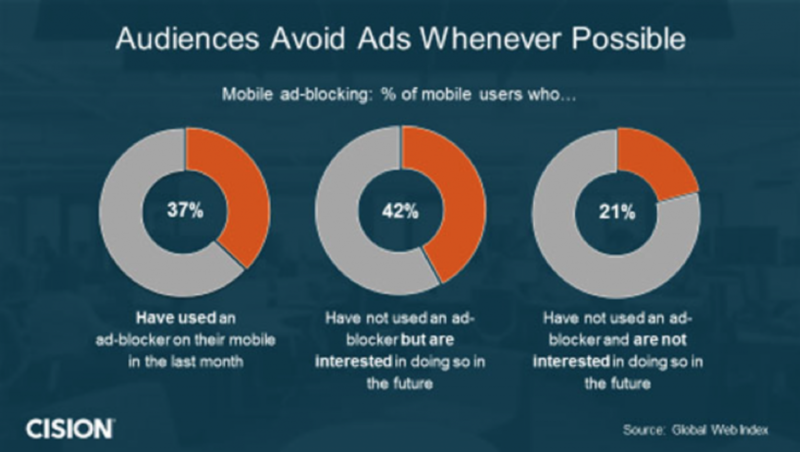 This means advertisements, in particular, are often overlooked in favor of content that's more relevant to the user, which has led to a new landscape in the marketing world. But before we delve in further, let's quickly run through what earned media actually is. It refers to an unpaid mention of your brand, which could come in the form of a news article, a review, or a shout-out on social media from a customer. Think Yelp reviews, articles by influencers, and Instagram photos of consumers using products - these are all examples of earned media. So why is this form of marketing so hot? We only have to look at the increase in social media use. Consumers are quickly becoming brand ambassadors, whether they've been asked to or not. Instagram packs the biggest buzz in the earned media world - it generates a whopping 95 million posts per day, many of which are users sharing their latest purchase. But it's the fact that earned media makes people take action that makes it such an important part of content marketing. The whole purpose of a marketing campaign (and a successful one at that) is to encourage people to do something - whether it's buy an item, share a post, or sign-up to a mailing list. And, when 63% of adults online actively talk about products or services, and a further 81% read what other people have posted about these products, it's easy to see why earned media has become an increasingly attractive form of marketing. In a time where consumers have access to millions of pieces of content from other buyers, they're no longer reliant on the stuffy traditional marketing methods like paid ads. Reviews from people just like them can be far more inspiring than stories made up by a brand's marketing department, and polished to within an inch of their lives. Which brings us onto another key topic: authenticity. As noted by Forrester Research: "the inherent authenticity of user-generated content is Kryptonite to even the most super of brands." But why is authenticity so important, and how does earned media leverage it? Well, the emergence of content sharing platforms has allowed for a two-way dialogue to open up between marketers and consumers. With platforms to call their own, consumers can now easily tell brands what they want. Essentially, earned media means marketers can speak with consumers, not at them. 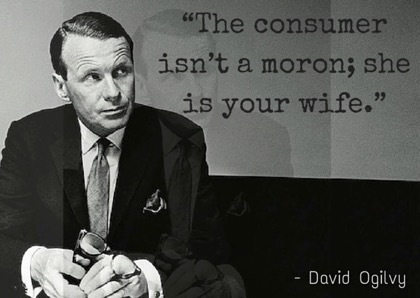 Advertising pioneer David Ogilvy summed it up nicely fifty years ago with the above quote - but even today, the consumer is not just your wife or husband or friend, they own a smartphone, and have access to all the knowledge they need to make powerful decisions about your brand. 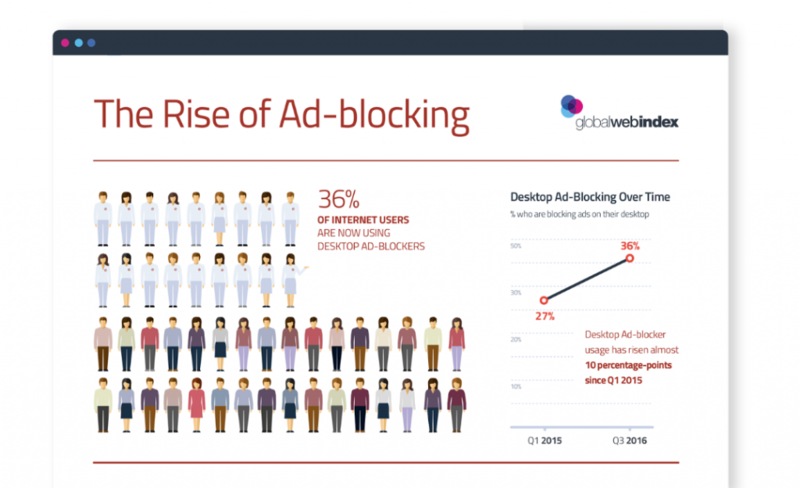 And with more than 35% of people online using adblockers, it's a no-brainer that brands need to move towards a more authentic marketing approach that sees the consumer as an equal, rather than a well-stuffed wallet. Of course, you want your consumers to like your brand - everyone does. But in order for them to like you, you have to get to know them. A key struggle a lot of marketers face is generating enough content to keep things fresh and exciting. But, with 80% of content online being created by consumers, marketers actually have an abundance of content right at their fingertips. When we talk about earned media, we really shouldn't be calling it "just another social media strategy", because it's so much more than that. It's actually the beginning of a long and beautiful dialogue between a brand and its customers that enables a deeper connection to be forged. The result? Brand loyalty and a sense of community - and who doesn't like to feel like they belong? Today, consumers expect to see more authentic content coming from brands and, with earned media, brands have access to a whole lot of it. 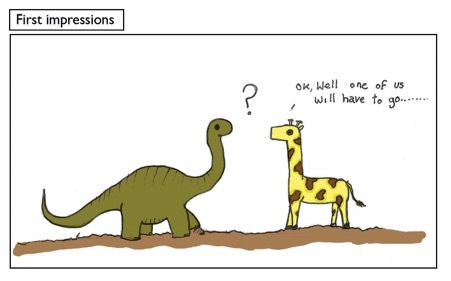 But let's look at it in terms of what it can do for you. First of all, earned media helps boost traffic to your website - which is never a bad thing. 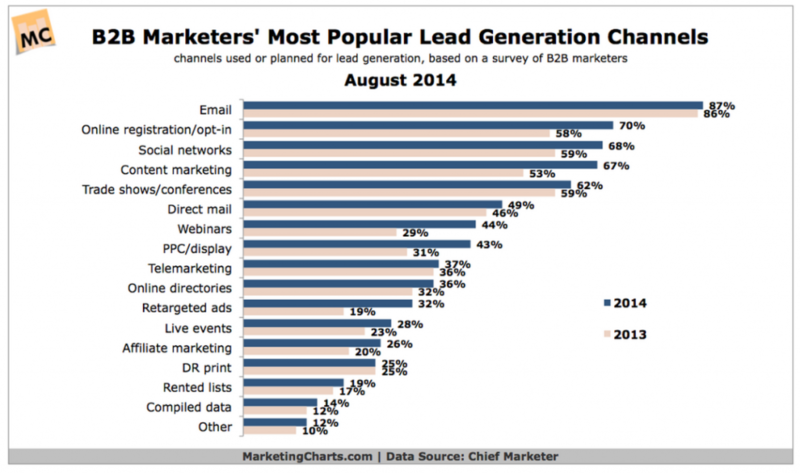 In fact, 25-40% of all traffic and lead generation comes from earned media. But it's not just page hits that earned media generates - it's also superior to paid media in terms of conversion rates. Traditional media techniques generally yield a 1% conversion rate (sometimes even less), whereas brands that leverage earned media can see conversion rates of 5% or more. 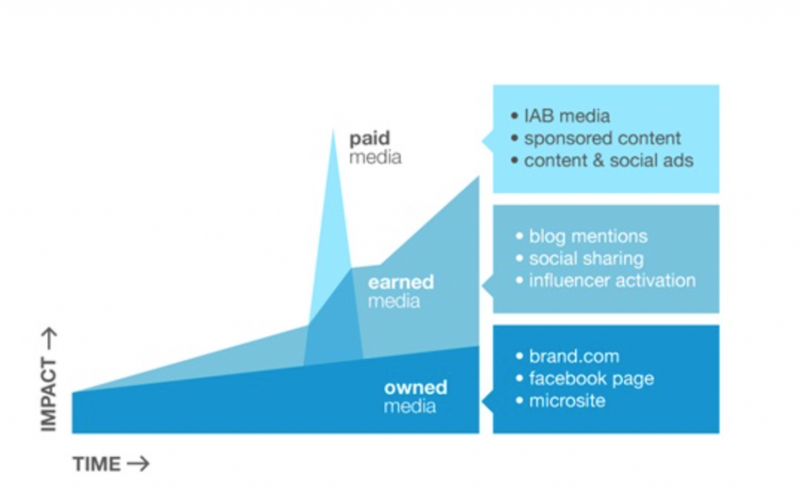 It's easy to combine both earned and paid media, too. You don't have to create new content every time you want to create a new ad. Instead, you can use reviews and consumer images in your ads, which helps build trust and differentiates your brand from competitors. Want some of that action? Of course you do, so let's talk about some ways you can implement earned media into your content marketing plan. The problem a lot of brands face when it comes to leveraging earned media is that they don't know what content to curate. Instead of handpicking the highest-quality pieces here and there, they try and gather up everything and throw it at the wall until something sticks. As you can imagine, this tactic rarely works. Instead, you should be creating a set of brand guidelines that help you choose which pieces to snap up, and which pieces to step over. Thinking about whether you want images with consumers in them, or just products, for example, will help you wade through the overwhelming amount of content circulating the web. Remember, earned media doesn't just refer to content shared on social media channels. When you bear in mind that 70% of consumers use three or more channels when researching a purchase, it's a no-brainer to spread your campaign over several different platforms. 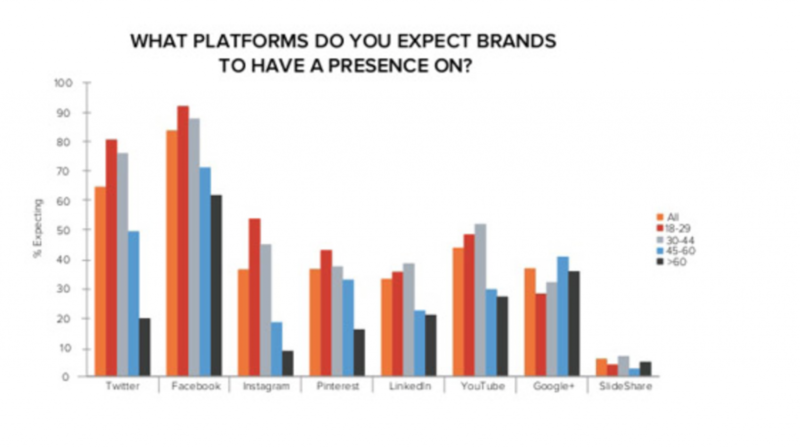 Plus consumers expect you to be on multiple channels. You can use user-generated posts across a variety of mediums, whether it's via social media, on other digital outlets, or even in offline places. The possibilities are endless - you can create a microsite to place user-generated content on, create communities for consumers, and put together interactive product catalogs filled with user reviews and comments. 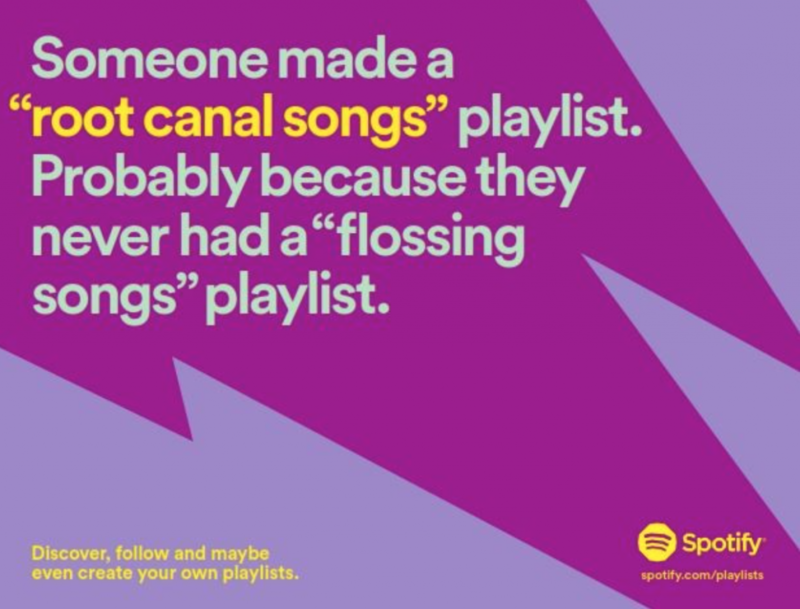 Take Spotify, for example, who turned some of their user's weird playlist names into posters to be put up in cities like New York, LA, and San Francisco. And, if you're promoting content across several platforms, you can always bring it together in one place for consumers to browse. 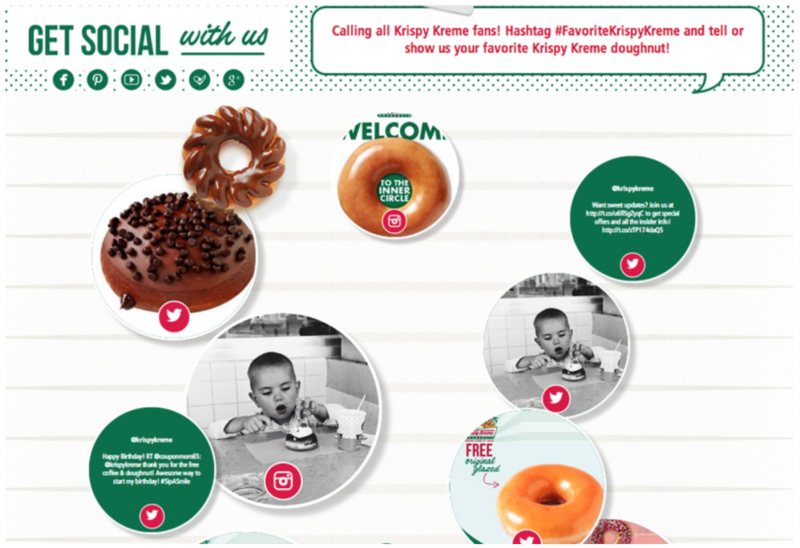 Krispy Kreme used a TINT wall on their site and in-store that brought together earned media from a variety of social channels, including Twitter and Instagram. If you're a relatively unknown brand with very little in the way of social mentions and reviews from your customers, you can always tap into the power of influencers. Start by building authentic relationships with key leaders in your industry and ask them to share or talk about your content and products. In return, you get access to the influencer's audience, which widens your reach and gives them the opportunity to become your audience. Now, you might be thinking that, usually, influencer marketing is more aligned with a paid media strategy, but if it's done right it can lead to an abundance of earned content. Take Calvin Klein's #mycalvins influencer campaign, which began with Instagram and Tumblr influencers posting atmospheric selfies of themselves in their undies. More than 600 influencers took part from all over the world, and it increased the brand's following by millions. But that's not all it did. As a result, fans of the brand began posting their own images, and user-generated content for Calvin Klein generated more than 25 million interactions. Now, consumers can post their own images on Facebook, Twitter, and Instagram with the #mycalvins hashtag, the best of which is reposted on a dedicated microsite. The key thing to remember about earned media is that it takes time to build up relationships. It won't happen overnight - and it shouldn't, either. One of the best ways to maintain a solid earned media strategy is to continuously build and strengthen your relationships with the people who talk about your brand - this could be your employees, fans, customers, and influencers. Regularly share their mentions of your brand and interact with them to deepen that all-important consumer-brand dialogue. Take American Eagle Outfitters as an example here. 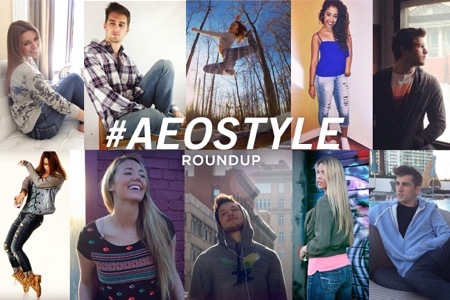 Using the hashtag #AEOStyle, they've identified and grown a community of brand ambassadors by sharing and curating the images and videos consumers have uploaded. This is particularly vital in the retail world, where 78% of consumers are influenced by social media when making a purchasing decision. By actively listening to their customers and leveraging earned content from them, brands like American Eagle Outfitters can build trust and rapport while encouraging people to take action. By now you know how important content marketing is for your brand, but creating a successful content marketing plan is no easy task. With the help of earned media, you can create an authentic first impression of your brand and start a conversation with your consumers. In order to get ahead today, it's vital that you treat your consumers as equals and listen to what they say - which is exactly what earned media lets you do. Whichever platforms you choose, and whichever tactics you decide to implement, creating this connection with your audience is vital for your future reputation.